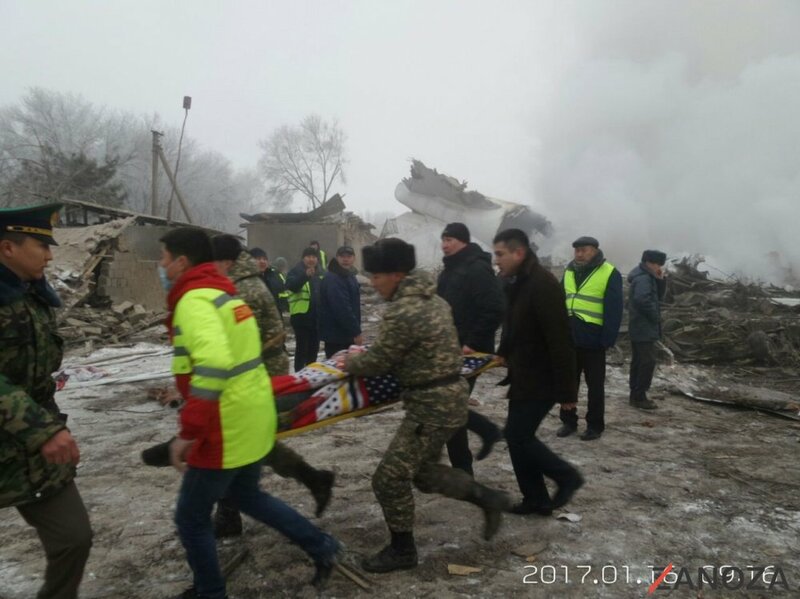 A turkish cargo jet Boeing 747-400F (TC-MCL) with the flight number TK6491 crashed on Monday 7:17 a.m. local time (1:17 UTC) into the village Dacha-Suu in Kyrgyzstan about 2 kilometers away from the airport Manas, Bishkek (UCFM/FRU). The freighter was on the way from Hongkong (VHHH/HKG) to Istanbul (LTBA/IST) with an stopover in Bishkek. The plane ploughed trough the village and destroyed several buildings. At least 37 people, including 6 children were killed, most of them on the ground. The 747 was operated by the turkish company My Cargo Airlines (till 2012 called ACT Airlines) and flew for Turkish Airlines at this day. The airline was founded 2004 and operates 6 Boeing 747 freighters. The affected 14 years old Jumbo was until 2015 in possession of Singapore Airlines Cargo (9V-SFL) before My Cargo Airlines took them over. At the moment no information on the cause is available. 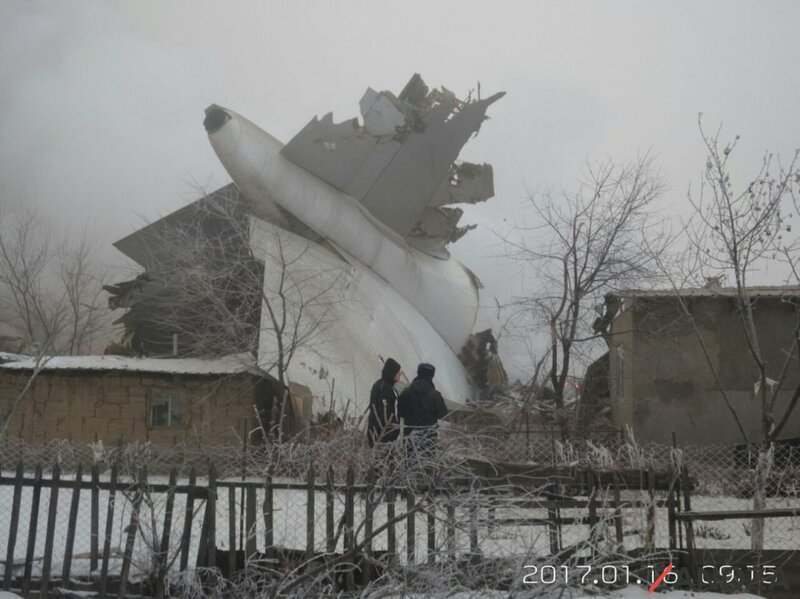 The weather in Bishkek this morning was foggy with -11° C.
MyCargo has officially confirmed the crash on its website, but does not yet name any official cause. The last incident of MyCargo was in march 2010 – the left main gear of an A300B4-200F (TC-ACB) was broken while landing on Bagram Airfield/Afghanistan. Nobody was injured in this case. In a second press release , the airline announced once again that there are no clear and confirmed reasons for the accident yet. They are in regular contact with the investigating authorities and accurate information will be communicated to the public as soon as they are available. The identity of the jumbo crew was also announced. The four-man team consisted of Captain Ibrahim Gürcan Diranci , First Officer Kazim Önül ( both ex military pilots with a total of 16700 hours of flight experience, of which well 1770 on the B747), the Load Master Melih Aslan and Flight Technican Ihsan Koca. The crew rested in HKG 69 hours before the flight. The flight took place as planned and no problems were reported until the crash. With 85,618 kg freight the Boeing 747-400 was safely loaded below the maximum capacity of 116.462 kg. 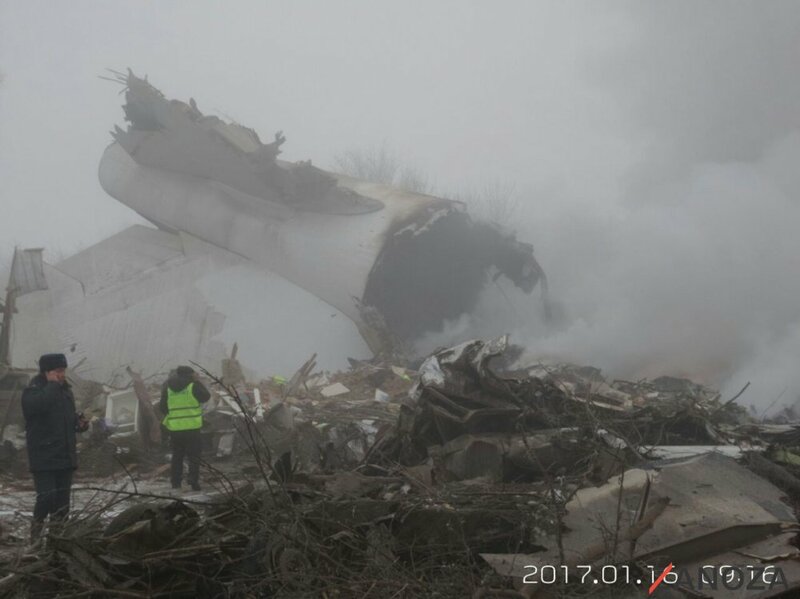 According the airline, the maintenance was done according all valid regulations and no fault was recorded in the technical log book. My Cargo Airlines / ACT expresses her mourning with all died and they mourns. The latest the number of victims is 37.